One of the nicest things about being crafty is when you realize you have a need for something, you often also have the materials and a sweet little idea of how it should look and work, no need to go out and buy something! Just say, for instance, that one too many times you’ve been sewing and left a needle stuck in the arm of the couch, and say someone else “found” it for you, loudly. 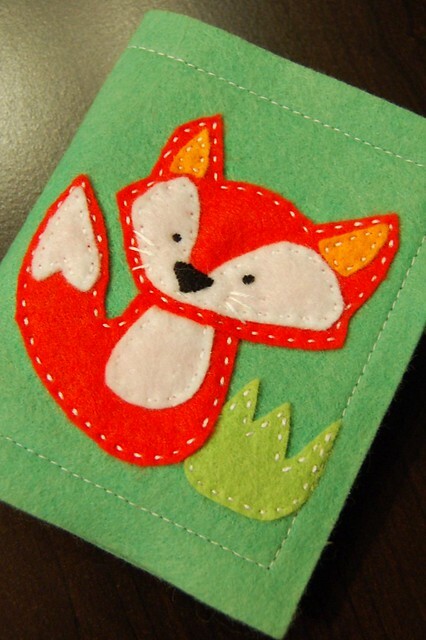 Well, a needle book is a cute, easy solution, and takes almost no time to whip up from little scraps of felt. Now I just have to remember to use it.